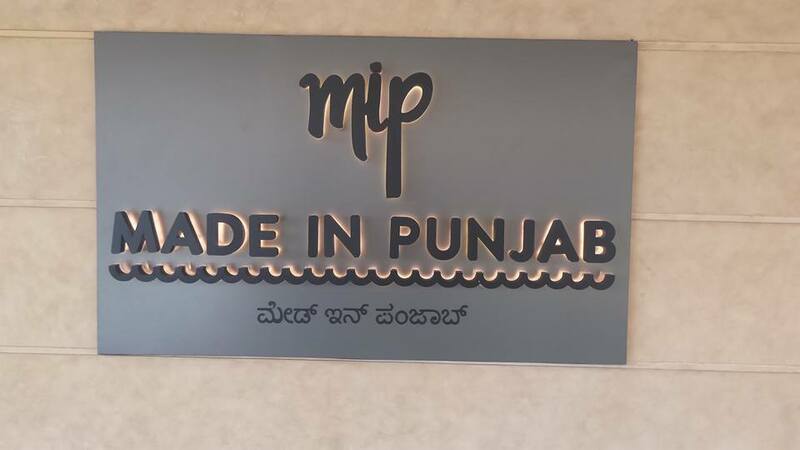 After Farzi Cafe, Massive Restaurants bought Made in Punjab to Bengaluru, a smart-casual dining brand having a menu covering the rich agricultural regions surrounding the rivers Jhelum, Chenab, Ravi, Beas and Sutlej. I really enjoy relishing North Indian food once a while, may be because my roots are from north. 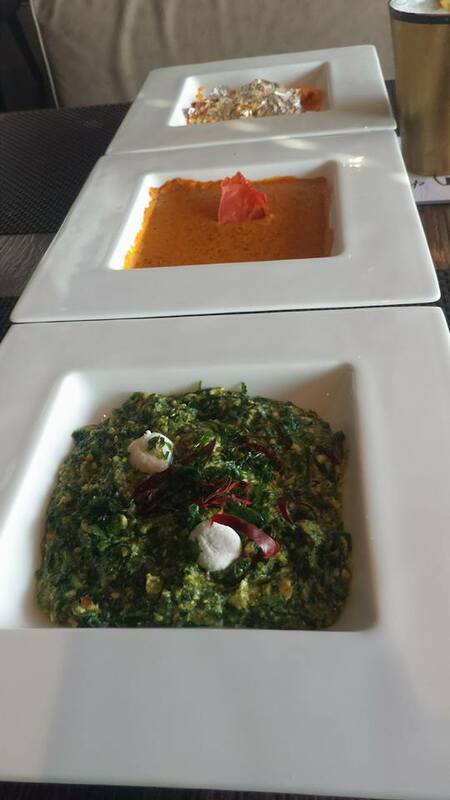 I haven't had good North Indian food in Bangalore much apart from countable restaurants which serve them. 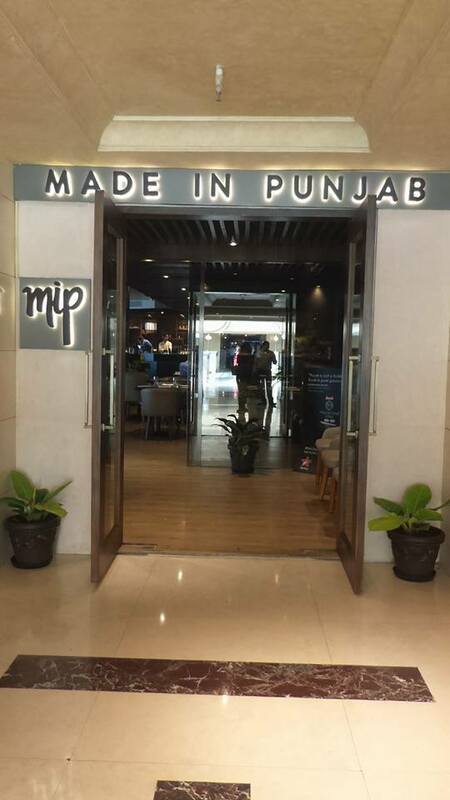 After a grand launch of Made In Punjab, located at Level 2 of UB City, next to Farzi Cafe, I had to visit the place to try their menu. 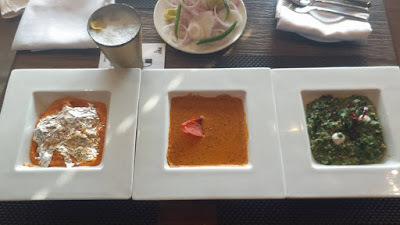 I was very well aware that the full will be rich and filling so I made sure that full portions were not served and I get to taste as many dishes as possible. 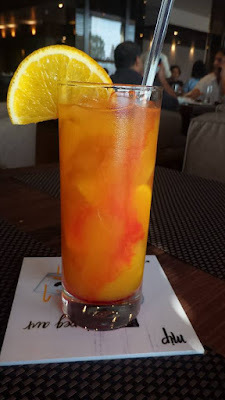 With some conversations poured in the mocktails and cocktails for the lunch. 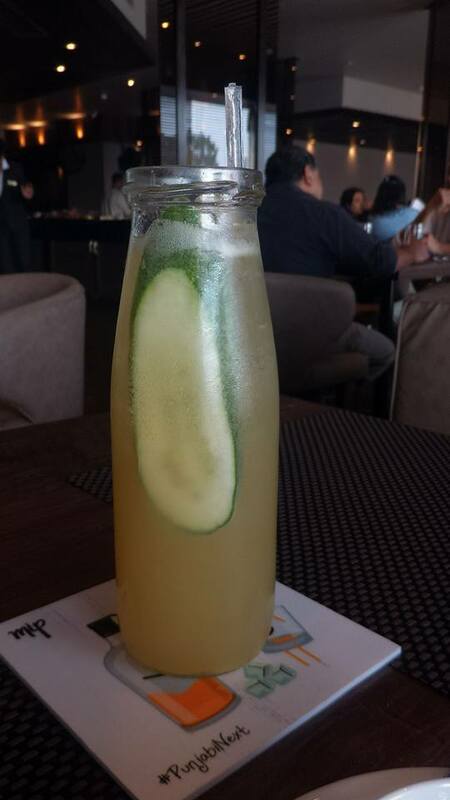 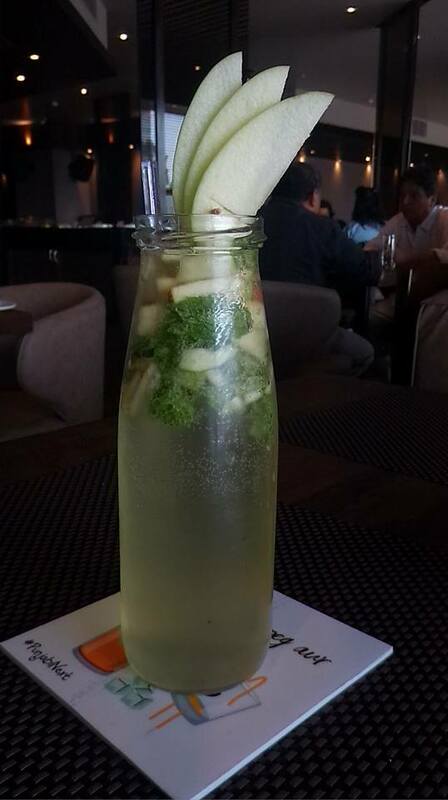 I tried Khatta Meetha which was little more meetha, may be because of my sweetness ;) and Minty Apple which is a refreshing mocktail and my friend enjoyed his cocktails, Cucumber based Vodka drink Cu Cu Fizz. 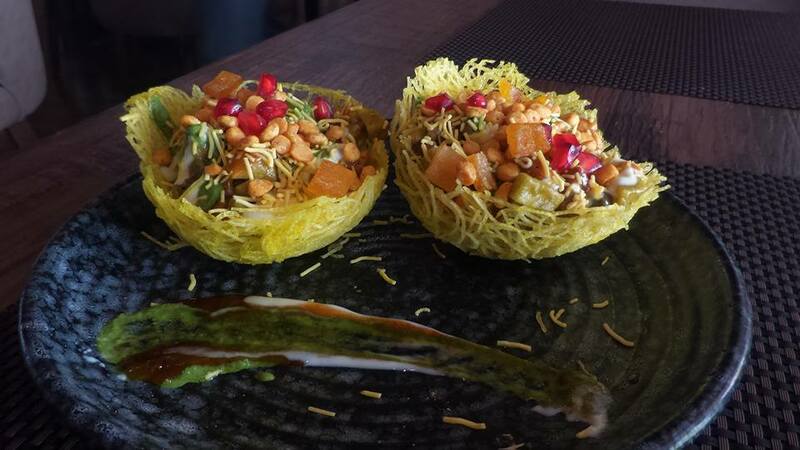 Then came the starters, Tokri Chaat was delectable with mini potato baskets with green peas, crispy colocassia and chutneys. 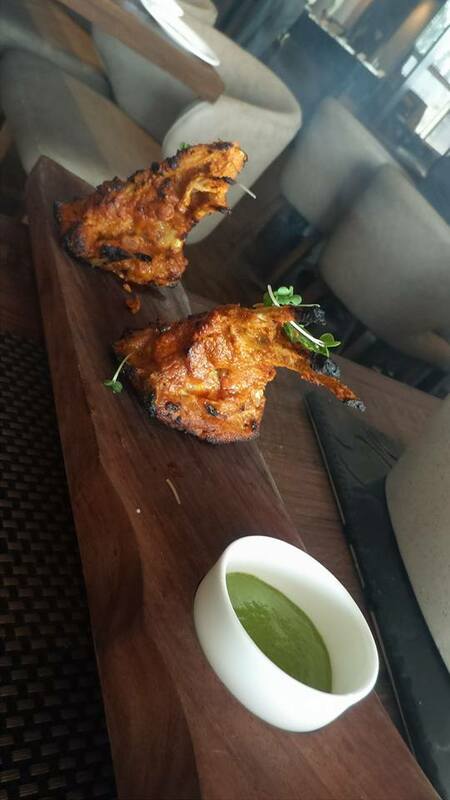 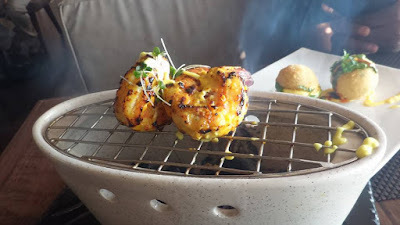 Legacy Tandoori Champ was my favorite which had lamb ribs which were spice, meaty and juicy. Next, Gabbar prawns was served where the prawns were marinated with chili yogurt and roasted in tandoor was lightly flavored. 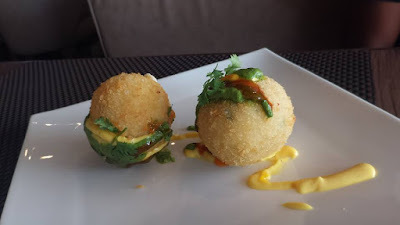 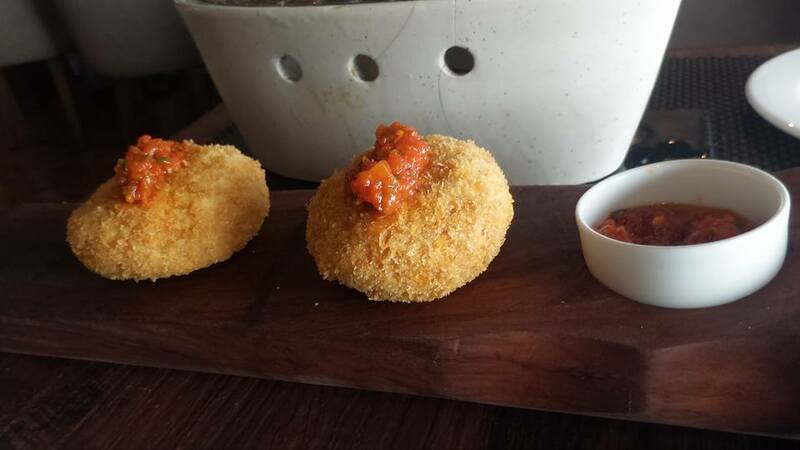 Dahee Pataka was spiced yogurt croquettes served with mint chutney which really stood out. 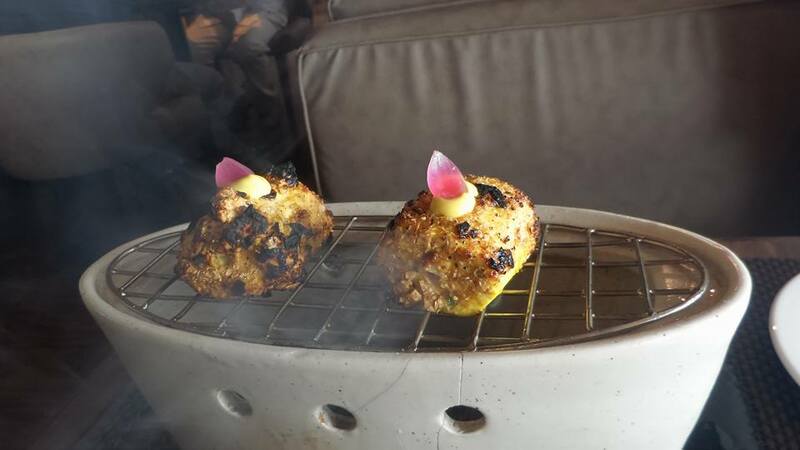 And LOL Tikki was my most favorite, leg of lamb patty infused with bone marrow which is slow cooked for 6 hours served with mint and tomato chutney was delish, it was melt in the mouth dish. 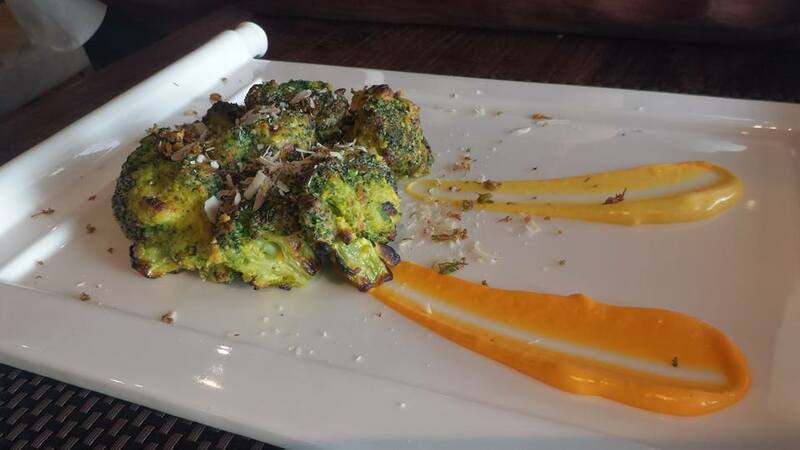 Then came Karara Bhatti Paneer Tikka, soft paneer marinated with bhatti spice with roasted papad coating and it is tandoor roasted. I do not enjoy eating Broccoli much but Broccoli Badam which had broccoli marinated with chili garlic almond, tandoor roasted and fried broccoli becomes a very filling yet delicious dish. 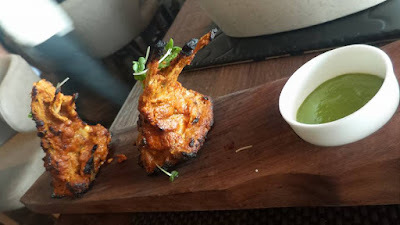 Make sure you do not fill your stomach with starters else you will never enjoy their main course which shouldn't be missed otherwise. 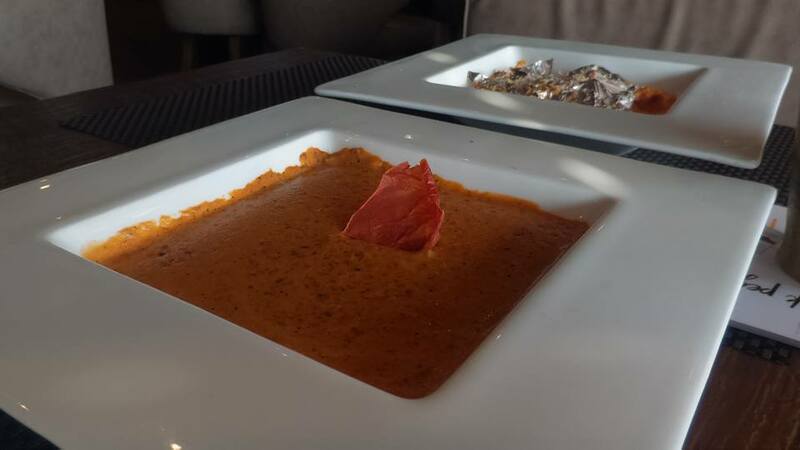 Luxury B.C. 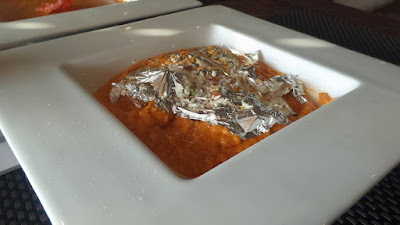 (I mean Butter Chicken) is a must try as they present to you their version of sinful butter chicken using the best goan cashews, firangi tomatoes, fresh white butter and Punjab dairy cream. The dish is coated with silver varq adding to the luxury of the dish. 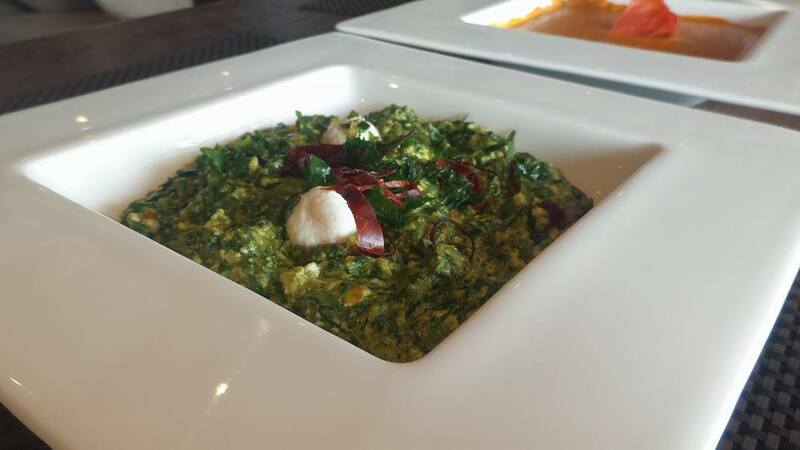 Agar tussi veg ho then try the Lahsooni Palak Chenna which has shredded spinach, chenna along with onion tomato masala, another rich gravy from the lavish menu. Don't miss Mummy da pyaar anymore as you relish Maa ki Daal which is a classic dal makhani, every morsel is worth it. 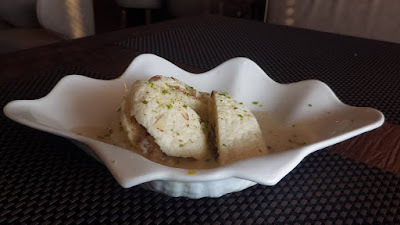 If you still have some space for dessert, which you should save some like I tried the Ras 'Dates' Malai which is a classic rasmalai with dates rabri. 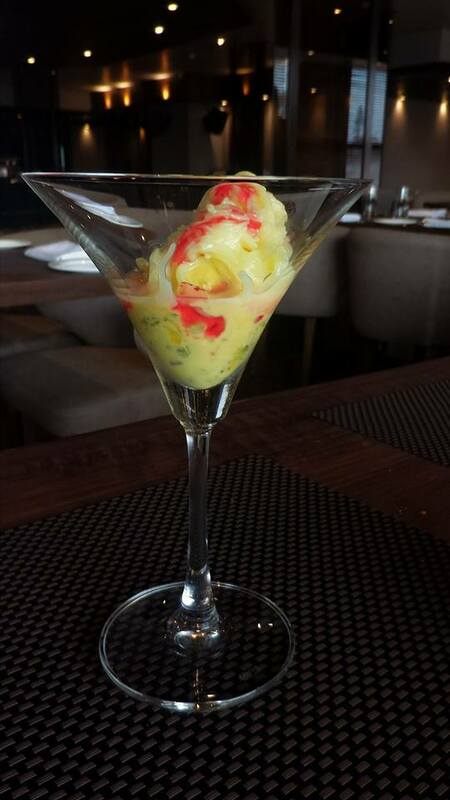 And next was Gaushalla Di Kulfi, condensed milk ice cream dipped in berry cream and khus falooda. 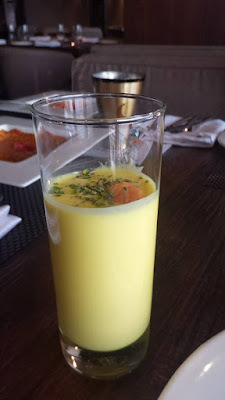 I wanted get a taste of their lassi so I requested for tasting portion only of their Kesar lassi. 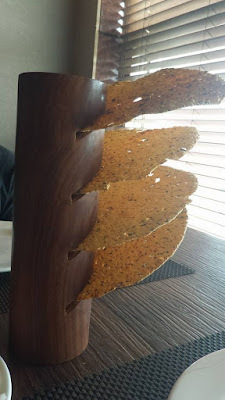 Only wish I had another stomach to relish more of their dishes but I guess I have to save some for my following visits. 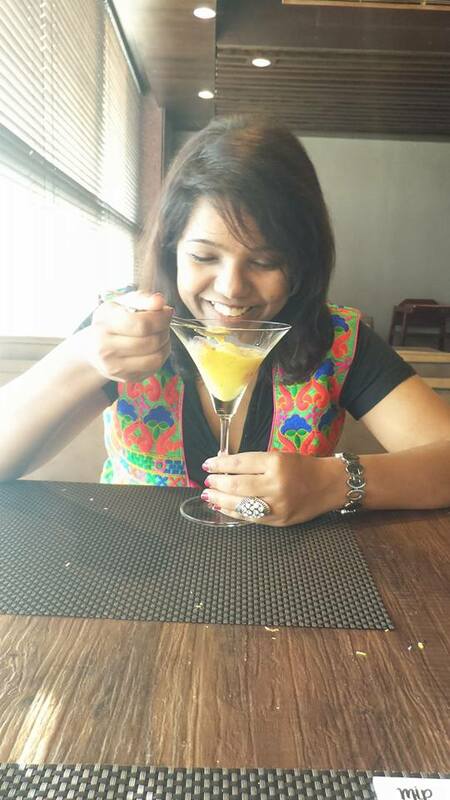 The happiness on my face clearly tells the good meal I had with the staff being very courteous. 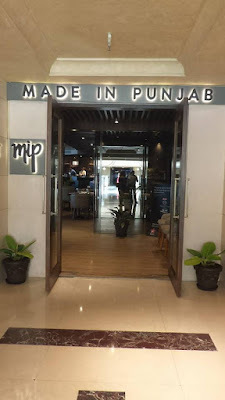 I have visited MIP twice till now and my visit has given me a happy tummy and a tongue longing for more food :) As the pricing of the dishes is reasonable, do not wait for any occasion and head to this award winning restaurant soon.